Landscapes in this style are possibly by a Sèvres-trained artist known in England as ‘Soqui’ (for Michel Socquet?). Compare this work to L2012.210.a-b. 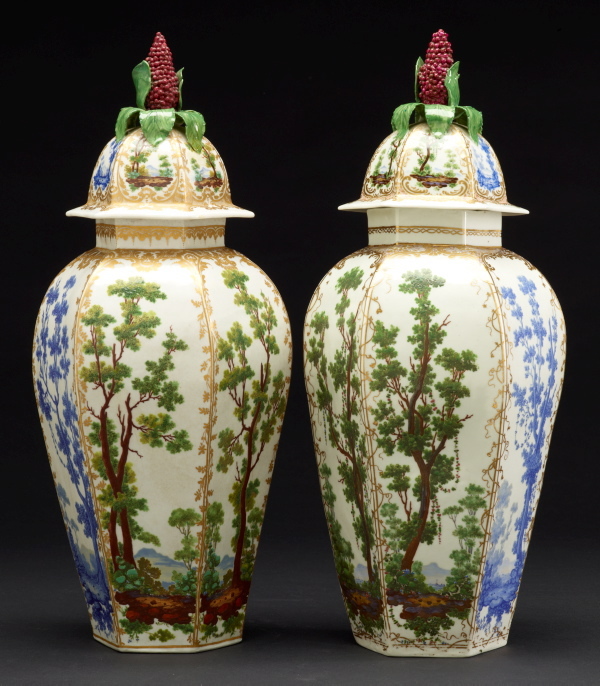 In spite of their matching painted decoration, the vases have different gilding and do not seem to have begun life as a pair. They were once married with a set of three vases from the Untermyer collection now in the Metropolitan Museum of Art, New York.